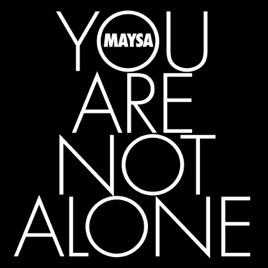 Maysa has done it again with this beautiful ballad. Her velvety alto tone is like smooth butter on this track. It’s gonna be another one of those smooth jazz songs that you just have to play. It’s already one of the many favorite songs I love from her. I Love it!!! Maysa is my Blue Angel! She’s got a voice that’s unparalleled...a special sumpin-sumpin that defies description. I love everything about this track...the horns, the strings and killer background vocals!! I swear I heard Wanda Tyler in those bgv’s!! A Soothing melodic song which speaks to my soul. Maysa doesn’t disappoint with this single. Her silky smooth vocals in this piece will lure you to listen again and again! Spread the love Maysa! !